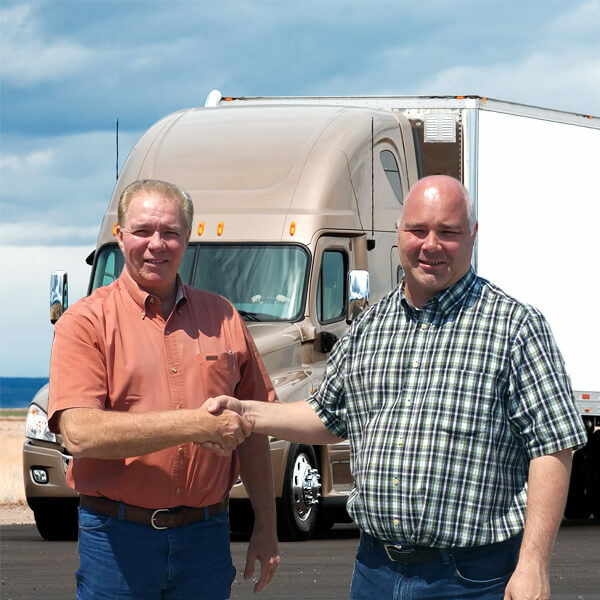 TranStewart Trucking and Logistics Inc. was founded by a father and a son nearly 20 years ago, in 1996. Jerry Stewart Sr. and Jr. began as owner operators and experienced life on the road for several years. Eventually, they sold their two trucks and adjusted their business plan in favor of an all-owner / operator friendly company. Because of their real life beginnings, father and son have a unique perspective on the industry which allows them to anticipate the needs of both, the customer and owner / operator. For over twenty years, we have offered quality service, 24 hours a day, 7 days a week, 365 days a year. Our staff of is always available to assist with your time critical shipments, anywhere within the 48 contiguous states and Canada. TranStewart is committed to managing your freight movements from the time the order is called in until the shipment is delivered. TranStewart is a proud recipient of the Carrier of the Year Award, recognized for performance volume, on-time pickup, delivery performance, technology support, contracted rates, negotiation, and strategic partnerships with suppliers. In addition, we were also recognized by the EPA for our commitment to the environmental excellence in our freight management operations.